SUITES @ PAYA LEBAR is located at 418, 420 UPPER PAYA LEBAR ROAD in district 19 (Hougang, Sengkang) of Singapore. 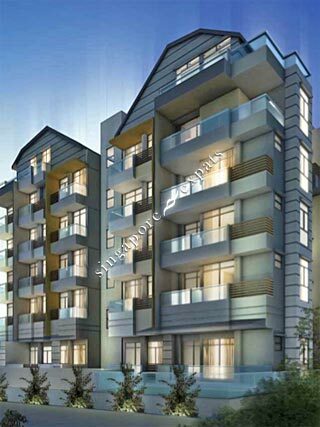 SUITES @ PAYA LEBAR is a Freehold Condo development consisting of 99 units. SUITES @ PAYA LEBAR is completed / TOP in 2014 (estimated), developed by FRAGRANCE PROPERTIES PTE LTD.
Educational institutions like DPS INTERNATIONAL SCHOOL, HILLSIDE WORLD ACADEMY, STAMFORD AMERICAN INTERNATIONAL SCHOOL, PAYA LEBAR METHODIST GIRLS' SCHOOL (PRIMARY), MARIS STELLA HIGH SCHOOL and YANGZHENG PRIMARY SCHOOL are near to SUITES @ PAYA LEBAR. SUITES @ PAYA LEBAR is accessible via nearby SERANGOON, BARTLEY and KOVAN MRT Stations. A quiet small development which is close to amenities.